Parallels, the virtual machine go-to for Macs alongside Apple’s own Boot Camp, has another annual update, bringing Windows 10 to your Mac. However, this year Parallels adds one feature previously unknown to common Mac users—a virtual assistant. However, when you’re working away like usual, Cortana hides out of sight. Neat! Add Cortana to the fact that Microsoft recently added its new Edge browser to Windows Virtual Machine and you’re getting all the neat Windows 10 goodies without having to completely abandon your fruit-branded laptop. 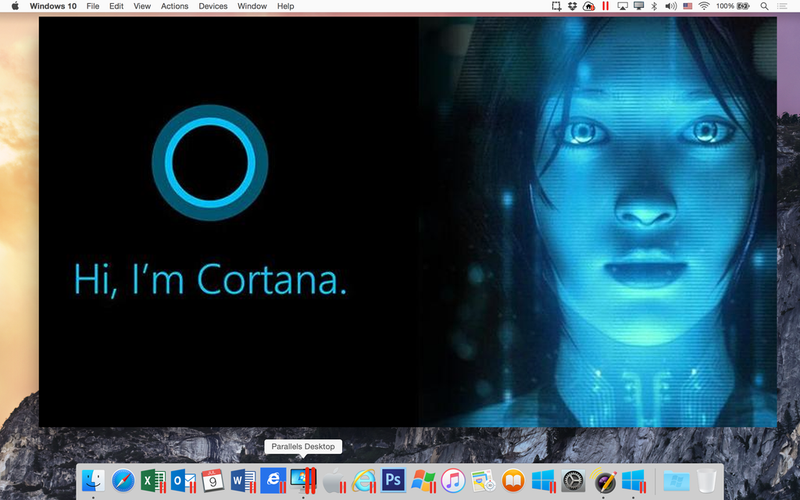 Of course, Parallels isn’t the only program that can run Cortana on your Mac. We recently used Apple’s Boot Camp to pull off a similar tech endeavor, and it worked pretty well, too. Aside from Win1o-centric features, Parallels has also focused on battery efficiency because simultaneously running two operating systems has never been known for being energy friendly. The Parallels team has introduced a travel mode, basically an “engines critical” mode for when you need more juice out of your computation device. You can set travel mode to automatically turn on at a certain battery percentage threshold or just set manually. As usual, the new Parallels will cost $80 but only $50 for those with Parallels 9 and 10. They’re is also a pro level that gives you dev tool support like Docker and Visual studio, as well as a business addition, both available for $100/year. Can’t choose between a Mac and new fancy features on Windows 10? In the words of one immortal meme, why not both?